King of the Bench: No Fear! 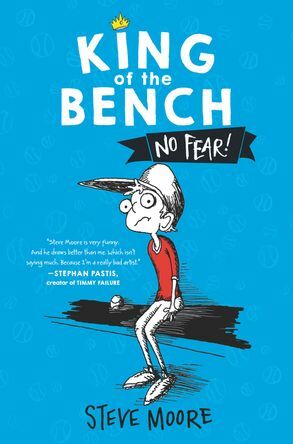 – Shelf Stuff Shelf Stuff | King of the Bench: No Fear! King of the Bench: No Fear! Steve has perfected the art of sitting (on the bench of his baseball team). But he knows he must conquer his intense fear of getting hit with the ball before his first year on the team is ruined. 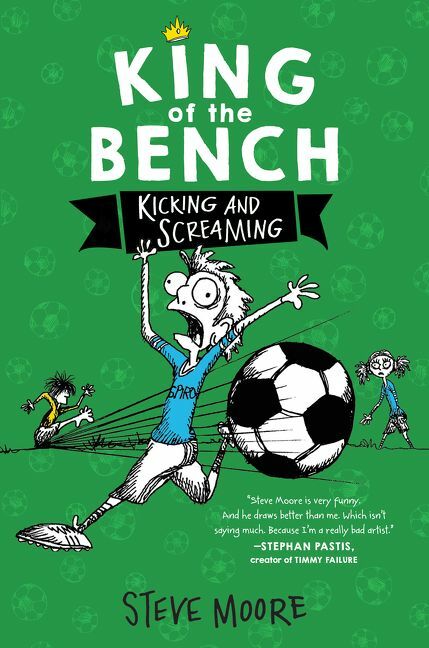 From the nationally syndicated cartoonist of “In the Bleachers” comes a new, highly illustrated middle grade series about Steve, who plays the same position in every sport: bench-warmer. 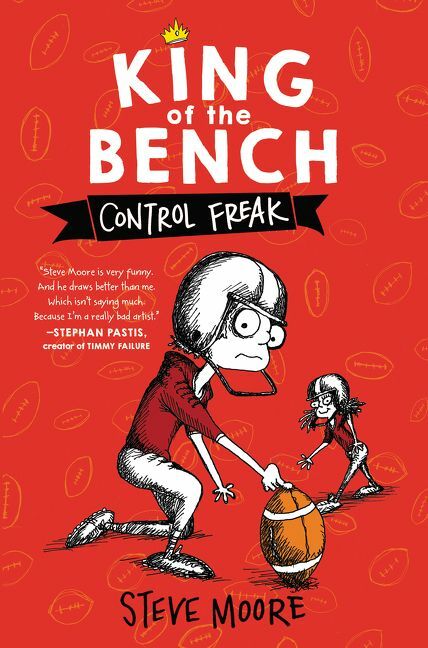 Perfect for fans of Diary of a Wimpy Kid and Timmy Failure, King of the Bench is an ode to teammates, underdogs, and bench-warmers everywhere. Steve is King of the Bench. No brag. It’s just a fact. But this year, Steve and his friends are excited to try out for the Spiro T. Agnew Middle School baseball team. The only problem is, after watching another player get beaned by a fastball, Steve has developed a serious case of bean-o-phobia—the fear of getting hit by a pitch. If Steve ever wants to get off the bench and get in the game, he’s going to have to muster up some courage, and fast. Oh, and if you’re wondering why Steve would write a book and tell total strangers all about the humiliating phobia that almost ruined his first year on the baseball team? Duh. It’s pretty much a rule that you spill your guts when you write a book about yourself.